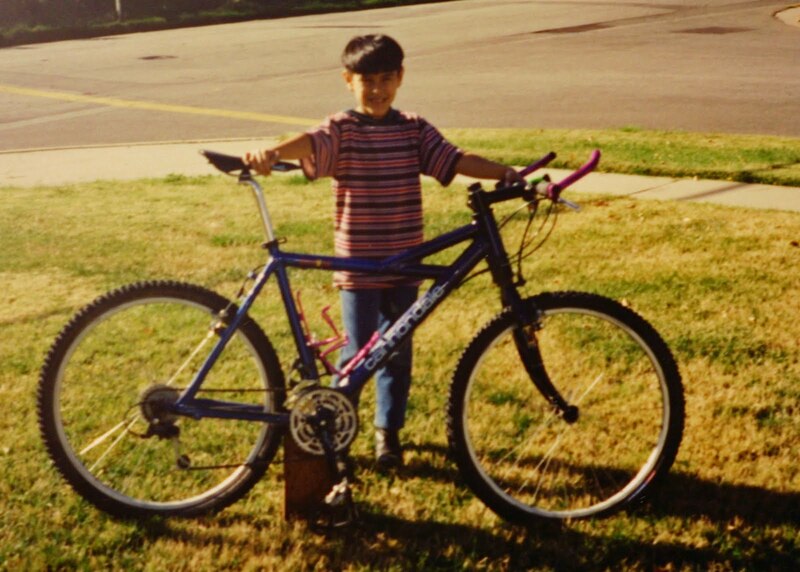 In 1993, I got my first real MTB. It was a Cannondale Delta V700. I remember being so excited and I rode that thing everywhere! In the early nineties, your Cross Country Race bike was also your Downhill bike. 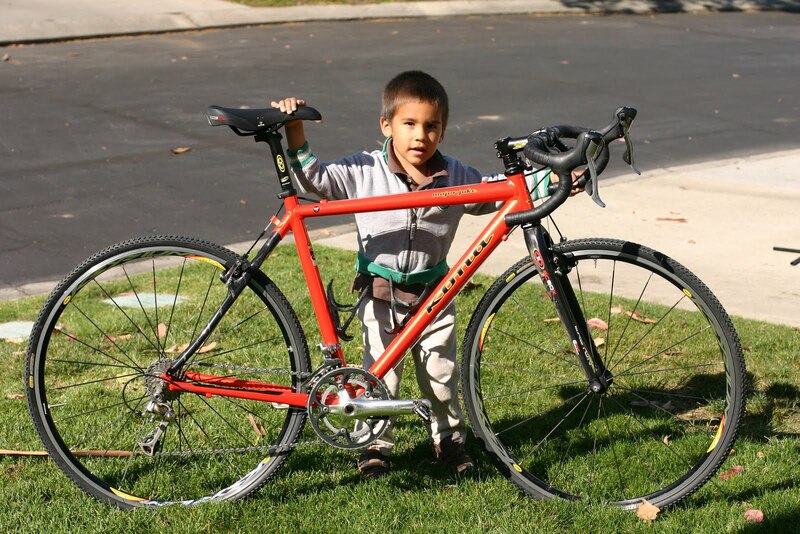 The first picture is Ryan, my younger brother, holding my Cannondale. The second is Adam, my son, holding my Kona.